Tyson Fury was originally expected to face Deontay Wilder in his next fight but after that didn&apos;t happen it left most fans disappointed. Now Fury&apos;s next opponent seems to have been decided and it&apos;s unknown German Tom Schwarz. Back in December Tyson Fury let the world know that his comeback was very real and he was just as good, if not better, than when he went away from the ring for three years following his historic world title win over Wladimir Klitschko. Against Deontay Wilder at the end of last year the undefeated British heavyweight should have captured the WBC title and was only denied by a controversial decision by the judges. The WBC then ordered a rematch and it was expected that the two men would face each other around May of this year. 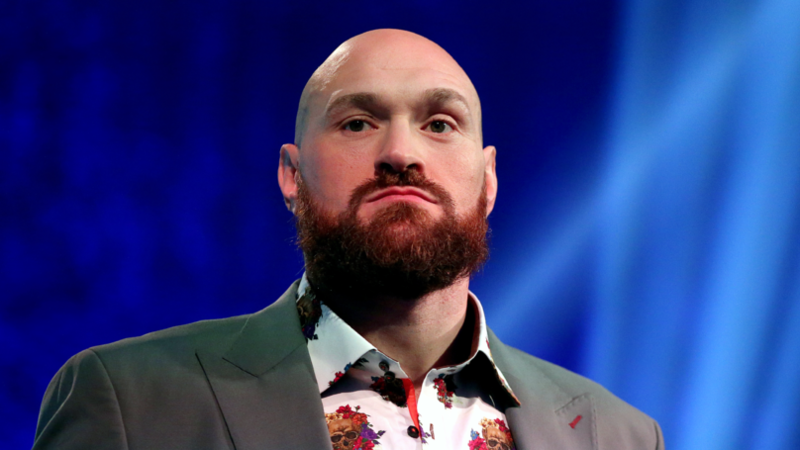 However the longer the announcement was delayed the more it seemed unlikely and then Fury signed a new deal American promoter Top Rank and it put him at odds with Wilder&apos;s Showtime representation. That fight now isn&apos;t happening, with Wilder now defending his title against Dominic Breazeale, and now it seems Fury has his own next opponent. According to ESPN in Germany undefeated Tom Schwarz, a relative unknown, will be Fury&apos;s next opponent with an announcement in the next few days. Like his soon to be opponent, the 24 year old German is undefeated in the professional ranks with a record of 24-0, with 16 wins coming inside the distance. Despite his undefeated record the 6ft 6ins WBO Intercontinental champion has only fought outside of Germany once and there is no names of note on his list of fights. With his new deal on American television it&apos;s likely that the fight will take place in the States. With Fury and Wilder being at odds because of television deals and Anthony Joshua on streaming service DAZN it makes it more and more unlikely that the three men will be getting in the ring with one another anytime soon. Joshua will fight Jarrell Miller in June and the big loser in all of this is Dillian Whyte who has missed out on a rematch with AJ and somehow a shot at Wilder&apos;s title. Are you excited to see Fury back in the ring?